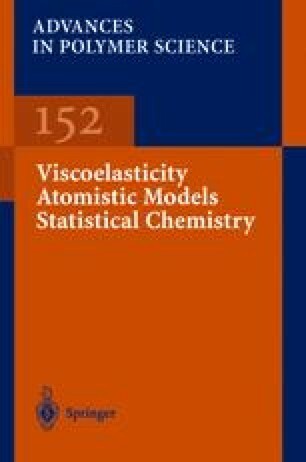 A brief introduction to the statistical chemistry of polymers is provided and the potential applications of this approach for the mathematical modeling of some important processes of the synthesis of high molecular weight compounds are demonstrated. Proceeding from the consideration of the main peculiarities of synthetic polymers, the statistical characteristics of their chemical structure generally used for its quantitative description are indicated. The principle kinetic models of macromolecular reactions currently employed in polymer chemistry are considered. The advantages and disadvantages of different methods applied for the calculation of the composition and chemical structure of macromolecules are discussed. The results of invoking these methods in order to provide a quantitative description of the products of linear chain copolymerization and branched polycondensation are reported.